Please welcome Katie from SophistiKated Cuties! 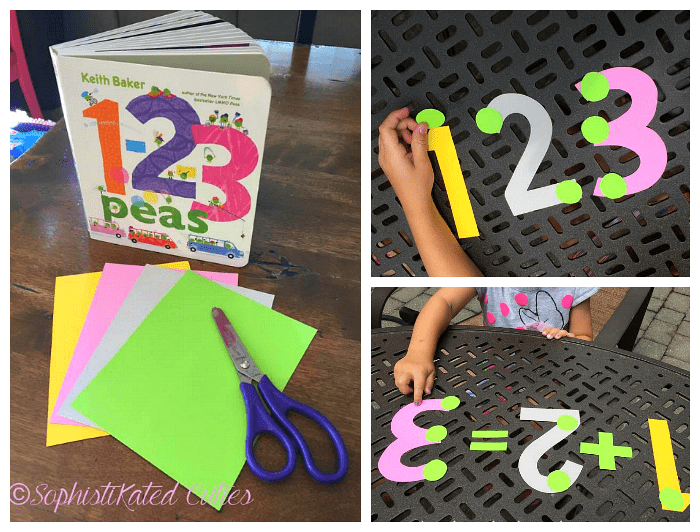 Today she’s sharing a simple math activity inspired by the book, 1-2-3 Peas by Keith Baker. 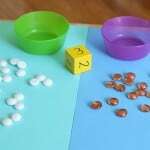 In this hands-on activity, children will practice counting, one-to-one correspondence, addition, and subtraction! We all know kids love listening to the same book…over and over again. Out of love for them (and maybe literacy), we succumb. 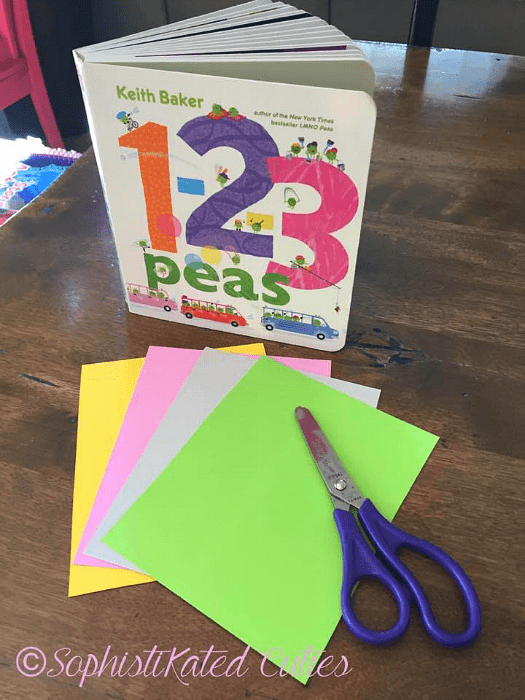 My cuties love the book 1-2-3 Peas (The Peas series) by Keith Baker. In addition to being educational, the illustrations are adorable (for adults too! ), so I don’t mind reading this one on repeat one bit. 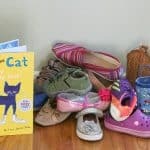 Plus, reading time means snuggle time, and I want to soak them in before they’re grown up and reading by themselves. 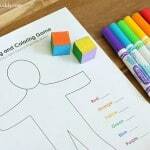 Since Baker’s book captured the cuties’ attention, we had to pair it with an education activity. 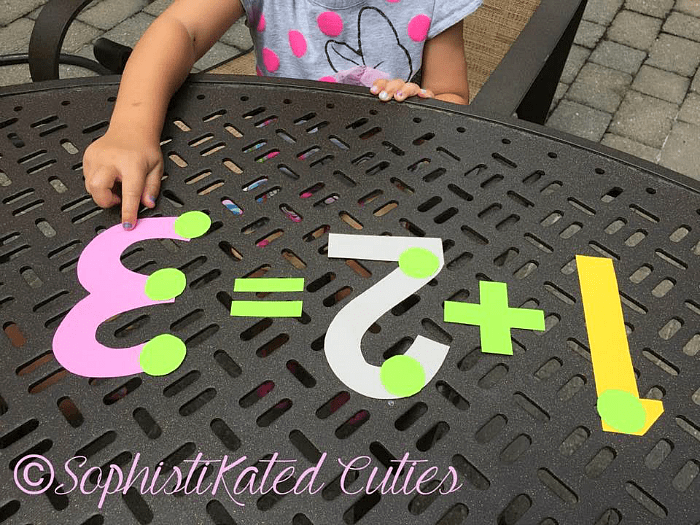 Easy Peasy Math requires very few materials: the book (helpful, but not totally necessary), cardstock or paper, and scissors. I then had my kiddos put the correct amount of peas on the correlating numbers (similar to TouchMath). For my youngest, this was a challenge in and of itself. I mixed up the numbers, and had her continue to give the correct quantity of peas. 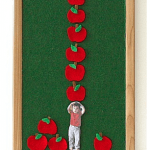 Together, we counted aloud and pointed to each pea. 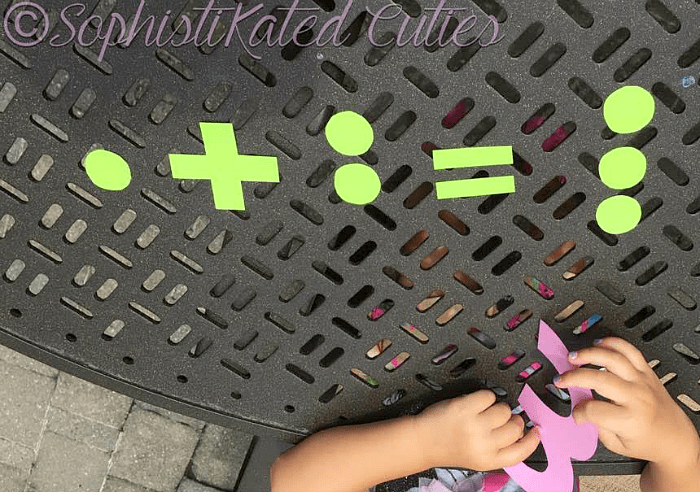 My oldest cutie needed a bit more of a challenge, so we threw in some basic addition and subtraction. 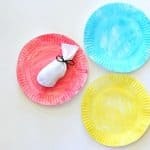 It was a lot more fun than flashcards or math facts with pencil and paper. 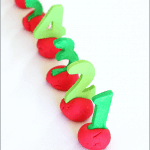 Lastly, we tried taking away the numbers, using only “peas” as math manipulatives. 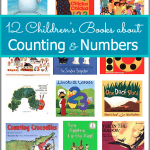 This easy peasy activity really helped with reinforcing counting, number recognition, and addition/subtraction, while sticking with the theme of the book. Plus, we were able to soak in some sunshine together before the cuties start school in the fall. Hope you enjoy! 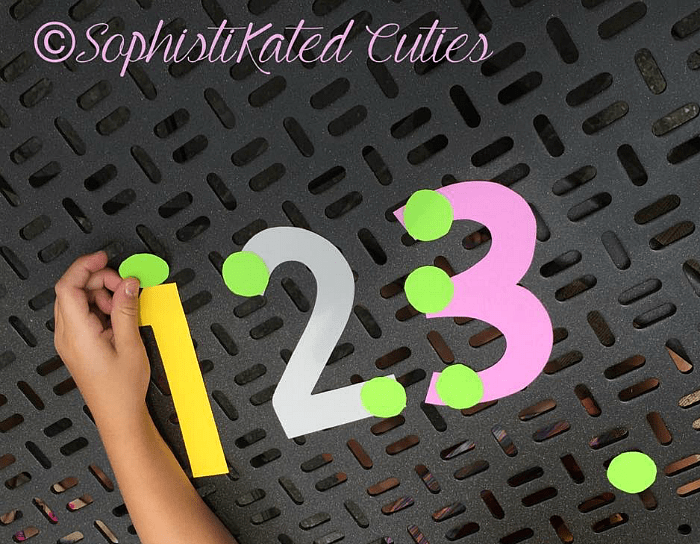 Check out more from Katie at SophistiKated Cuties! 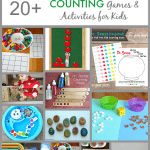 Katie is a nanny who encourages her cuties to discover creativity in ordinary things. She loves her job and feels so lucky to work with such wonderful families. Please check out the cuties and I on Facebook and Instagram as well!